Luna Lovegood is easily one of the greatest Harry Potter characters of all time. If you need convincing, be sure to watch the video below! Luna is unique in the most admirable way. Her thoughts and beliefs are as awesome as her clothes, jewelry, and accessories. From beetle rings to butterbeer cork necklaces, the items Luna own are one-of-a-kind. My personal favorite is her lion headdress! 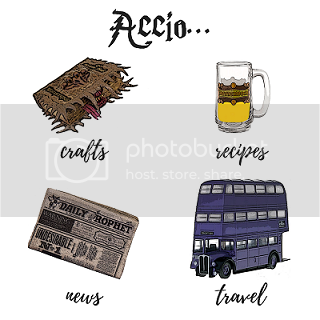 If you’re like me and can’t get enough of all of the Luna things, check out these awesome Luna Lovegood items! No witch or wizard is complete without their wand! I love Luna’s wand because it has a flowery vibe to it, which really reminds me of her. Did you know this is actually Luna’s second wand? Do you know which wand she had as her first? Drop a comment below if you do! I’ve seen some pretty epic Harry Potter Funko Pop collections. If you have one, be sure to tag me in it to be featured on Simply Potter’s Instagram! None are complete without a Luna on the shelf, though. There are a few adorable Luna figures- including a Funko school uniform Luna, Funko lion’s head Luna, Funko spectrespecs Luna, Rock Candy spectrespecs Luna, and Rock Candy lion’s head Luna. So many awesome Luna shirts are out there, but this is one of my favorites. Luna is poised in such a cute fashion in her iconic look. I love wearing Harry Potter clothes, especially Luna themed, because it’s a great way to connect with other fans! Anybody who walks past me wearing Potter clothes gets an enthusiastic hello! What’s a better way to show your appreciation for Luna’s house than geeking out with a Luna Lovegood bookmark and pen? Having Luna as a bookmark will surely help you open your book more. I use the wand pen myself for my daily journaling! It’s so fun to whip out and use. A butterbeer cork necklace is a fun way to sneak a little Luna flair into your daily attire. The quality of these necklaces is amazing and the lady who makes them is especially sweet. You can also find radish earrings in her shop and she’s custom made me a beetle ring for a Luna cosplay that I adore! I can’t recommend her enough. Want more Luna Lovegood and Harry Potter goodness? Check out Simply Potter on Facebook and Instagram! Her first wand was sort of like Hermione’s, but it the vines carved in instead of coming out. The cine design only goes up about halfway on Luna’s. Her first wand is gorgeous, I own it for cosplay!